← A Saturday full of PRIZES! 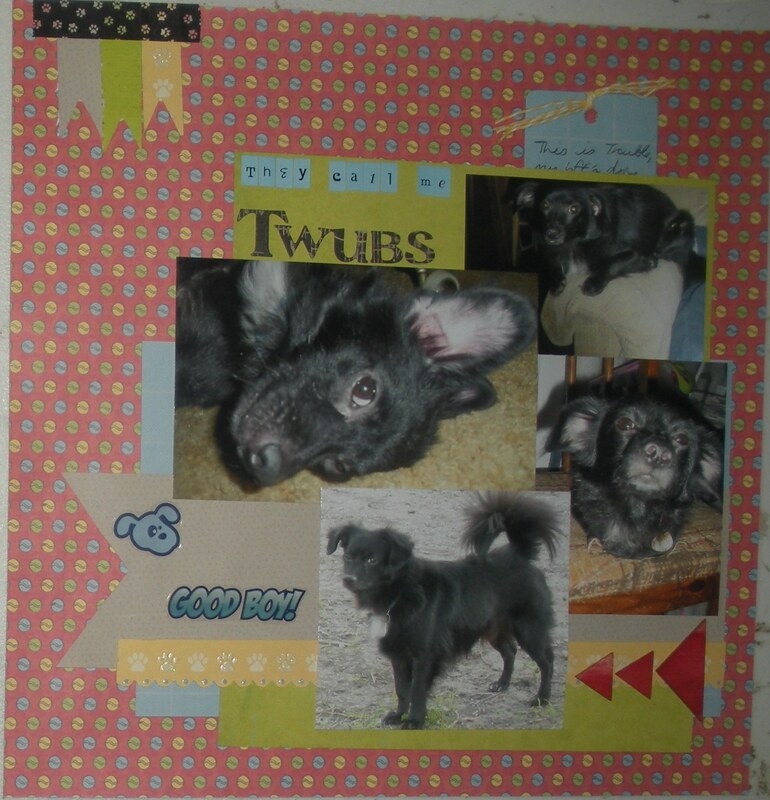 Layout: They call me Twubs! 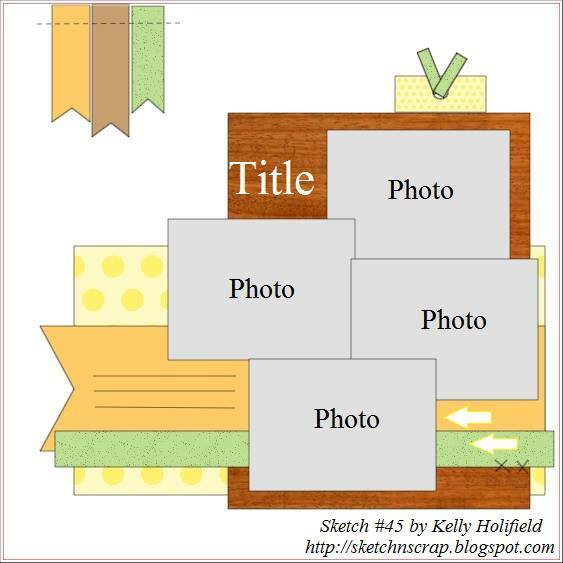 The inspiration for this layout was the Imagination Challenge at ACOT – nicknames! All the doggies I know – whether they are mine or not – have at least one nickname. Some have two, and some have five! My BFF and her two little doggies live with us temporarily and just recently, my husband nicknamed her dog Trouble “Twubs”. And my design is based on Sketch-N-Scrap’s sketch #45. 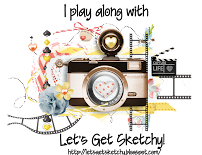 I just loved all the layers and the chance to use several photos. I used Best Creation pattern paper, with Queen & Co washi tape, alphas by Basic Grey and My Little Shoebox, twine by Doodlebug and veneer triangles by Studio Calico. What a cute nick name for Trouble and those photos are adorable! Love all the layering Brandy! That’s a cute nickname! Our dog stayed with our nephew for a week and he nicknamed him Spazzy, which is hilarious! I absolutely love what you did with the sketch! Beautiful job Brandy! Thanks for joining us at Sketch N Scrap! Totally fun and cute LO. Cute nicknames. Fantastic take!!!! Thanks for playing along with us at Sketch-N-Scrap! Awww, Twubs is so cute! Great job on the sketch Brandy!! Absolutely adorable (the pics and the layout! ), what a funny nickname! Thanks for joining us at Sketch N Scrap! Super cute! Love your take on the sketch. So very cute and the pics are adorable!! !